The Securities and Exchange Commission is going after the red-hot market for initial coin offerings, according to the Wall Street Journal. The financial regulator issued a wave of subpoenas, according to the Journal. The Securities and Exchange Commission is going after the red-hot market for initial coin offerings, according to a report by the Wall Street Journal. The Journal reported Wednesday that the SEC issued “scores of subpoenas and information requests” to folks associated with initial coin offering projects. The Journal cited unidentified people familiar with the matter. The SEC declined to comment to the WSJ. 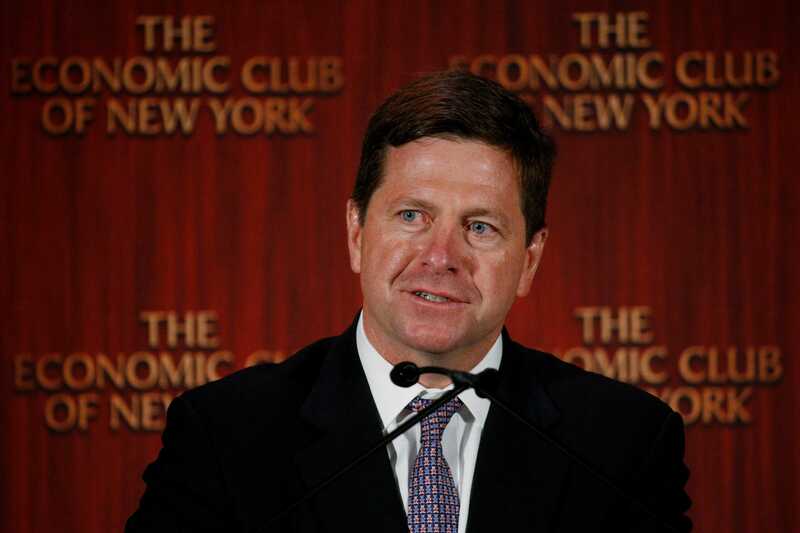 SEC head Jay Clayton has not been shy about the agency’s intention to sniff out fraud and non-compliant activity in the booming market for ICOs. He said during an address to the US Senate that he has yet to see an ICO that doesn’t resemble a security and said that non-compliant token sales will be subject to punishments. Initial coin offerings – a sort of crypto-twist on the initial public offering process – allow companies to raise money by issuing their own token. They’ve allowed companies spanning financial services to gaming to solicit millions of dollars from investors. Telegram, a messaging app operator, for instance is trying to raise more than $2 billion from a token sale. Companies raised $1.5 billion from ICOs in January 2018, according to data from fintech analytics provider Autonomous NEXT. More than $5 billion was raised in 2017.